Get Help with Productivity, Living with ADHD, and, well Your Life in General! Productivity Coaching helps you take control of your life so you get the important things done. of the Americans surveyed described themselves as disorganized. of people polled have missed crucial work deadlines due to poor time management. of people polled say disorganization causes them to work late at least two to three times a week. Coach Juli doesn’t just apply a “band-aid” to a problem. She does surgery. Coach Juli is never judgmental, critical or negative in any way. You will only be encouraged, motivated and educated. 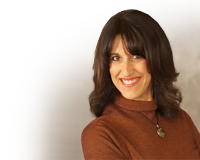 Care to find out what Coach Juli Shulem can do for you?